Lent is a extra-biblical Christian season. It ("Lent") is not specifically mentioned in scripture and is not defined until the 4th century but it does have some valuable characteristics. Like all things though man can turn it into a legalistic religious ritual. This article will explain what it is, the value in it, and how it is abused. Irenaeus wrote to Victor I of Rome (quoted by Eusebius) in discussing the Easter celebration and notes that different Christian communities celebrate Easter differently but never states that preparation for Easter lasted 40 days before easy. In fact, "40 hours" is only specifically stated. It was the poor translation of Rufinus that mistakenly made it say "40 days twenty four hours a day" is later used to define the "Lent" season. The only 'celebration' that existed from the time of the Apostles was some sort of celebration of Easter but with no unified time of preparation. The Council of Nicea (325) recommended meetings "one before the 40 days of Lent." then St. Athanasius (d. 373) also recommended a 40 day fast prior to Easter. From there the 40 Day fast prior to Easter was established community wide. 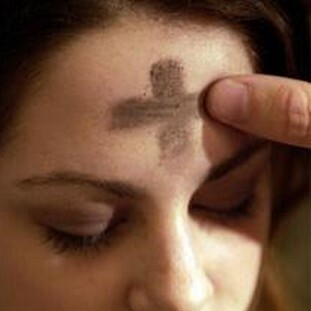 "Ash Wednesday" is the first day of the Lent season that lasts for 40 days with the last week known as "Holy Week". The number "40" has been a significant number throughout scripture. On Mount Sinai, preparing to receive the Ten Commandments, "Moses stayed there with the Lord for 40 days and 40 nights, without eating any food or drinking any water" (Ex 34:28). Elijah walked "40 days and 40 nights" to the mountain of the Lord, Mount Horeb (another name for Sinai) (I Kgs 19:8). Most importantly, Jesus fasted and prayed for "40 days and 40 nights" in the desert before He began His public ministry (Mt 4:2). Thus it only make since that the same time of preparation makes sense for the greatest event in human history; the Resurrection of the Son of God. As time went on it became a more ritualistic act that some now feel actually earns them favor from God by how well they fast prior to Easter. Paul would have an issue with this. He stated that grace is a FREE gift (Romans 5:17) and not something earned or worked for. Fasting is also a private matter between the individual and God. Making a public spectral and letting everyone know your fasting is something unwarranted and unnecessary (Matthew 6:16-18). Why do some rub their face with ashes and leave it on for everyone one else to see, when Jesus tells us to wash our face and not make it obvious? Some want to symbolically replicate what is done in the Old Testament (2 Samuel 13:19; Esther 4:1; Job 2:8; Daniel 9:3) but inject legalistic meanings in the act. Due to the works of Jesus Christ on the cross; he renders those meanings useless when we now have the absolute Hope in Christ. Christians are free to observe a time of self preparation and fasting prior to Easter but this is on an individual bases and not a mandatory public ritual. Fasting and repentance is not for a season each year but a way of every day life. "One person considers one day to be above another day. Someone else considers every day to be the same. Each one must be fully convinced in his own mind." "Therefore let no one pass judgment on you in questions of food and drink, or with regard to a festival or a new moon or a Sabbath. These are a shadow of the things to come, but the substance belongs to Christ." Depending on the conscience of each individual this season can give people a encouraging and supportive reason to repent and fast from the things that are hindering their focus on the Lord. This man-made religious season can be used by God still, in giving a tangible purpose for refocusing on spiritual matters and rediscovering their greater need in Jesus instead of things of this world.